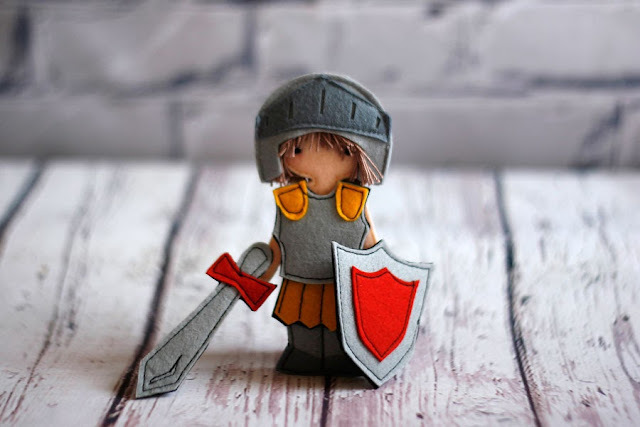 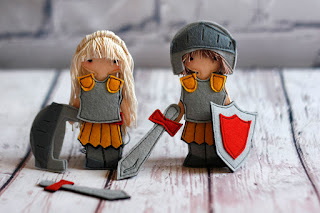 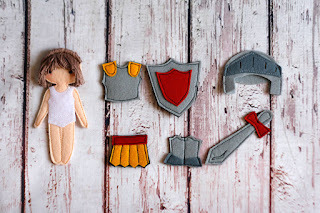 Armor of God set for felt "paper" doll is a handful set for Bible lessons. 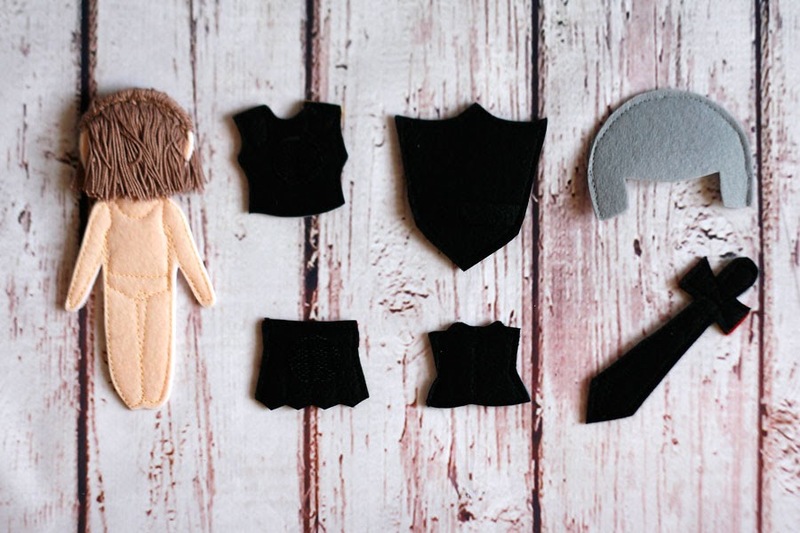 The doll and outfits made of hard polyester felt, lined with fusible interfacing for stiffness. 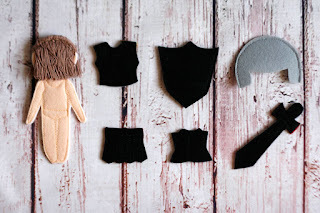 It has a velcro underwear to attach the outfits. 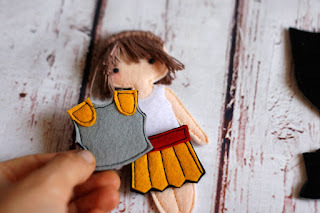 Breastplate and skirt have velcro back to attach to the doll. 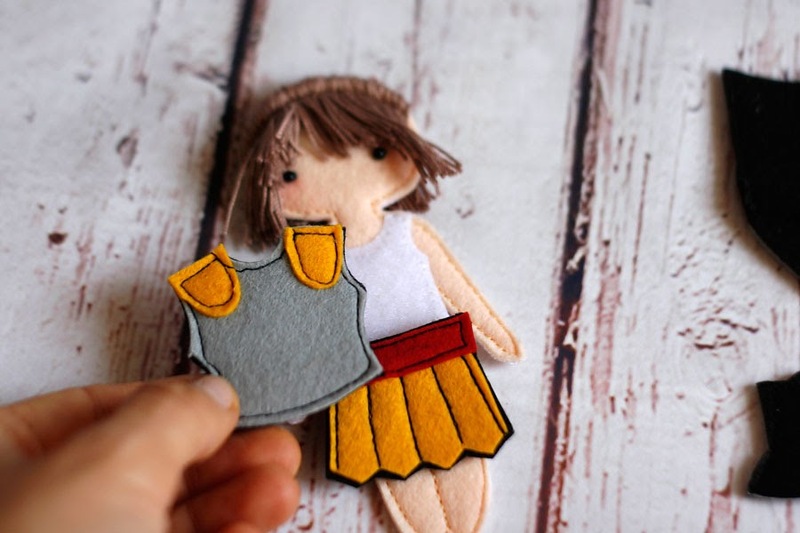 Doll's hair is made of yarn, you can gently brush it and braid. 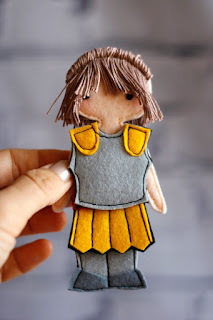 Eyes are black plastic beads. Each piece is handmade and unique, slightly variations possible. Doll is about 12 cm (4.7 inch) tall.